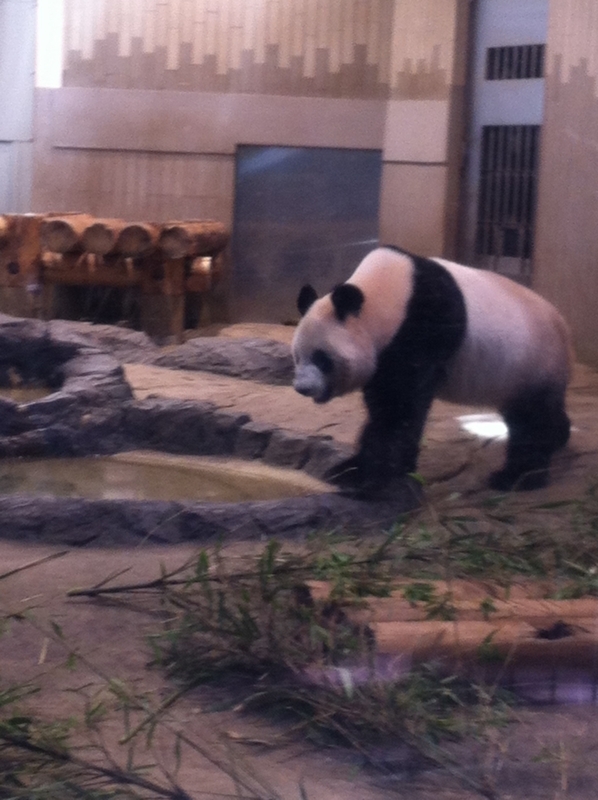 I went to Ueno-Zoo the other day with my husband. Actually, it's been a long time to see him(or her?). I remember that we came here about...ten years agao? or more? So, I asked him if he remembered about it. But he didn't even remember that we came here together!?! Terrible, isn't he? Anyway, they were very lovely. We actually stayed in the zoo about two hours, just staring at lots of animals... didn't know it was that much fun.